It’s been quite some time since we last wrote up a Humble Bundle, but #21 was recently made available, this time helping out the Electronic Frontier Foundation and Child’s Play Charity. If you aren’t familiar with Humble Bundle, it’s very simply to understand. To start, there is a group of games you receive for any amount donated over $1. However, if you pay a certain price, this time being $5, you unlock another tier of games for your purchase. If you go over another amount, being $6, you get another group of games. 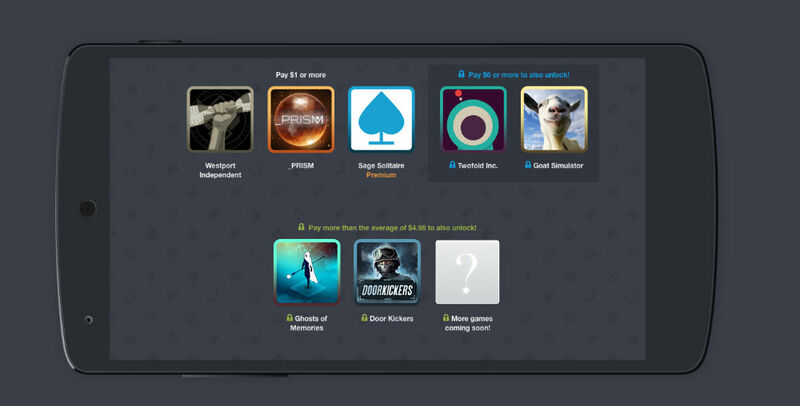 Currently, if you pay $6 or more, you get seven games, plus more to come. The games in the bundle are Westport Independent, _PRISM, Sage Solitaire, Ghosts of Memories, Door Kickers, Twolfold Inc., and Goat Simulator. If you know anything about mobile games, these are some great titles, espeically for the $6 price. Not only will your money go to the developers who created them, but a portion will also be given to charities – the ones I mentioned above to be specific. The neat part is, you the purchaser determines where the money goes. If you need a few new games or just want to donate to a couple good causes, check the link below.